It was such a pleasure to give a talk at the Cruz Acero school here in Chicago. These high school students make beautiful work and had very interesting questions. We discussed my less common form of art education and what it’s like to forge your own creative path. I hope to hear them tell their own stories someday! 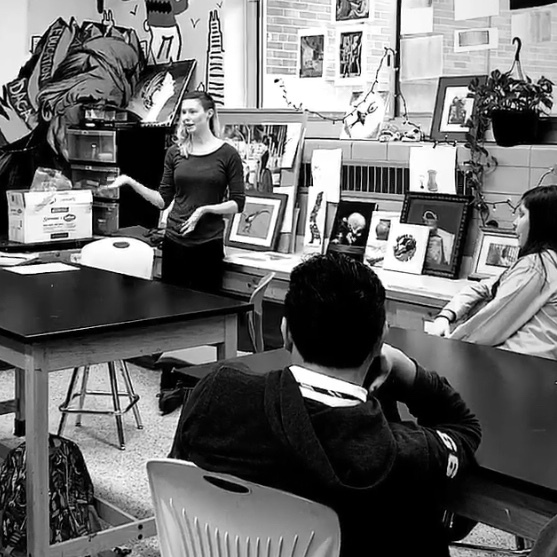 Thank you to the school and art instructor Rachel Lechocki for having me as a guest.